Put the ‘fizz’ into your fizz with these quirky cups from our Glitz and Glamour collection. 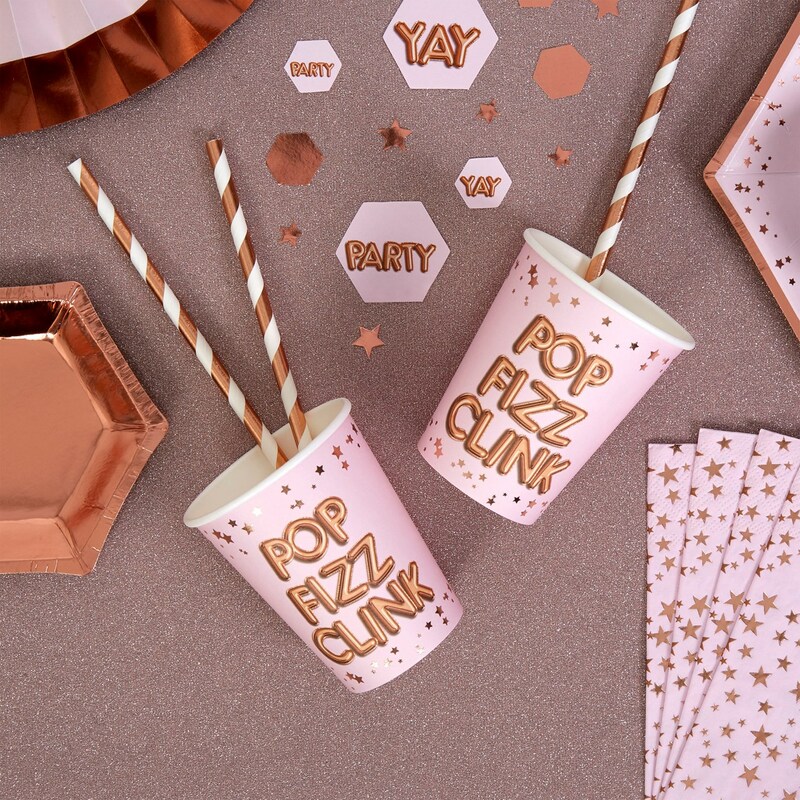 A fun way to serve everything from bubbles to soft drinks, these cups feature a quirky ‘Pop, Fizz, Clink’ logo in gold balloon-style graphics. Set against a pretty pink background with a scattering of gold foil stars around the edge, the fun logo really pops out. Each pack contains 8 Cups.